Selfie sticks are quite absurd, but hey, people love 'em. 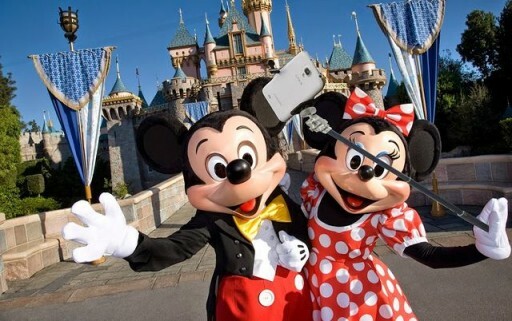 So much so, in fact, that both Disney World and Disneyland have had to post "No Selfie Stick" signs in front of some of their more popular rides. Thunder Mountain, for instance, has been stopped multiple times in the past couple of weeks because of issues with selfie sticks. That's a sentence I never thought I'd type. Though I always knew Mickey Mouse meant business.